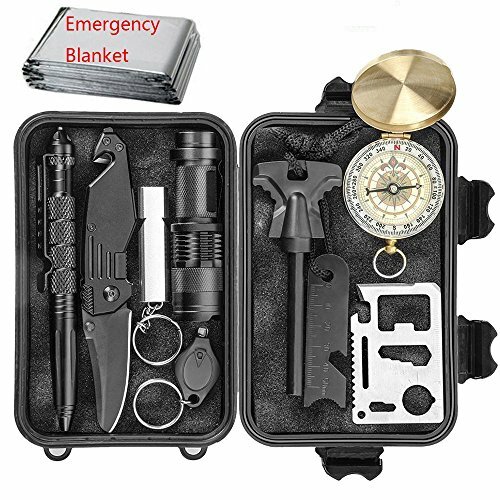 If you tour or do camping, hunting a lot, then this 11 in 1 Survival multi professional kit will help you in various outdoor activities. It is good as outdoor survival gear kit for traveling, hiking, biking, climbing, hunting and more…! EILIKS Survival Luminous Compass: This compass features 360 degree rotating bezel for easy navigation & orienteering. Waterproof and shake-proof with luminous display inside, convenient night clearly viewing.